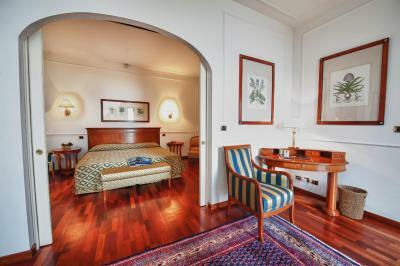 Lock in a great price for Relais Casali della Cisterna – rated 9.5 by recent guests! Our hosts were amazing. The rooms were spacious, bed comfortable, the VIEW was WOW. The breakfast was delicious and careered to special needs. 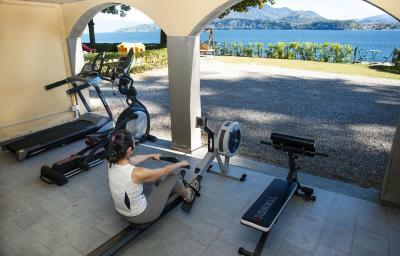 As you exercised on their variety of machines you looked out to the gorgeous Lake. The hotel is amazing, very cozy and comfortable. The host family is very friendly and helpful. The view from the hotel is amazing. Perfect breakfast in a very beautiful garden. Thank you. We will come back for sure. 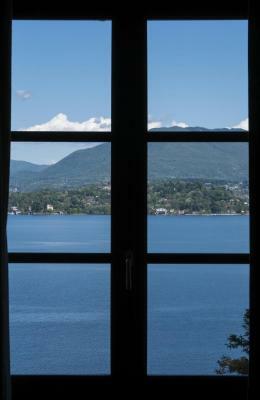 We especially loved the view of Lake Maggiore from our room. The sun rising and setting was spectacular to see each day. 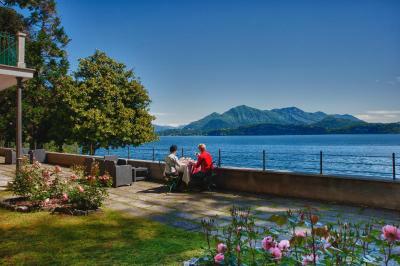 Stresa is about 5 minutes drive and where we went for lunch and dinner each day. We highly recommend Mamma Mia's Ristorante! 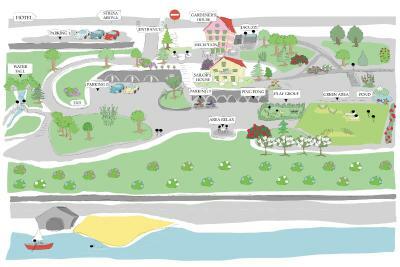 The property owners are delightful and spent time helping us select sights to see and places to dine. 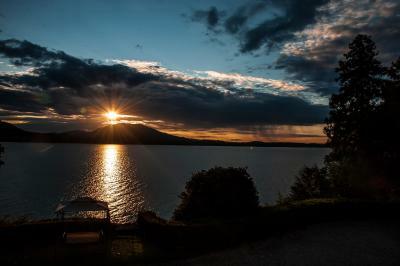 We had a peaceful, relaxing stay and hope to return the beauty of Lake Maggiore and the Relais Casali della Cisterna! 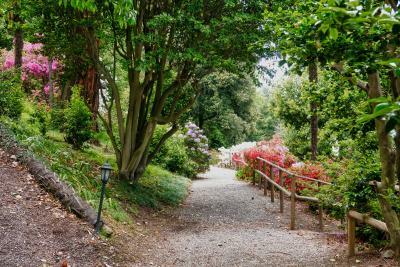 It's a hidden gem in just the right location. 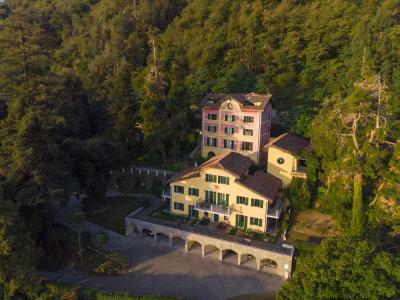 Beautiful property, very well appointed, Very friendly hosts, who were keen to ensure that we had a good stay, even running us and luggage back to the station when we checked out. To have the option of having a cooked breakfast in addition to the substantial breakfast buffet with so much variety was a real bonus. Having breakfast on the terrace with the views across the lake was very relaxing. The suite we were in was very spacious with a large bath, tall shower (I am almost 2m tall!) and double wash basins and an extra large bed as well. 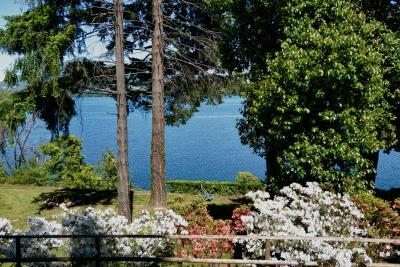 The room also had lovely views of the lake and gardens. 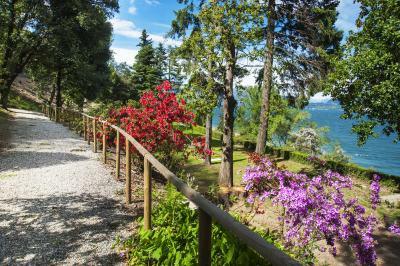 The staff were very helpful and recommended a number of local places to eat and also where to park without charge in the Stresa area. 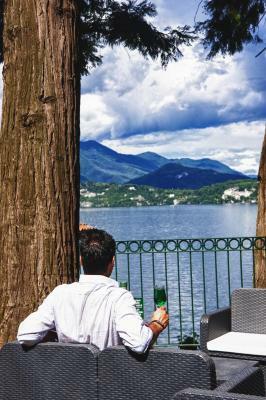 The location was just outside Stresa and Begirate, both of which had excellent restaurants. 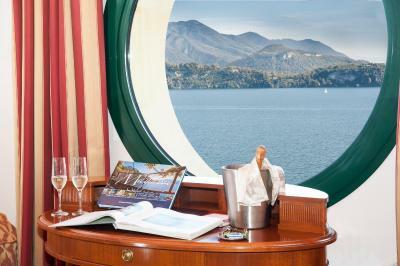 Stresa afforded opportunity to board the boats to visit the various islands on Lake Maggiore. 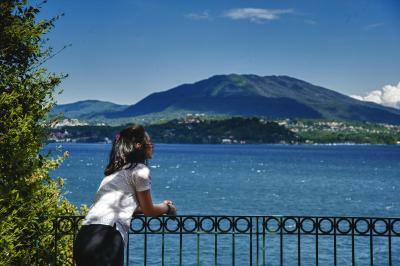 1) Main highlight of Hotel - relaxing mornings with excellent breakfast and beautiful view to the lake. 2) Location is close at all main Lake attraction 3) Kid play ground 4) Evening bar was also tasty 5) Hosts helped in any request We were in apartment with terrace ,closer to the lake, trains noise is negligible. 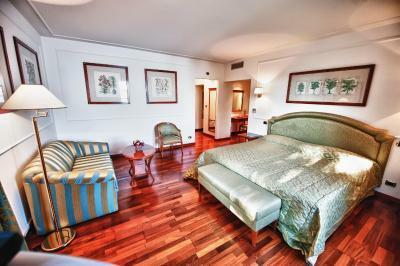 Good size room; comfortable beds; very varied and good breakfasts. Quiet location (apart from note below re trains). Helpful hosts. 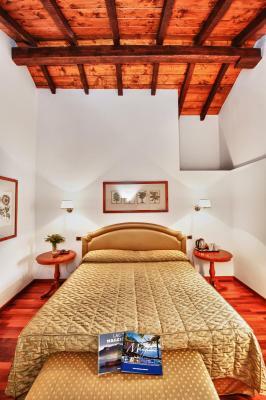 Relais Casali della Cisterna This rating is a reflection of how the property compares to the industry standard when it comes to price, facilities and services available. It's based on a self-evaluation by the property. Use this rating to help choose your stay! One of our top picks in Belgirate – and a guest favorite. 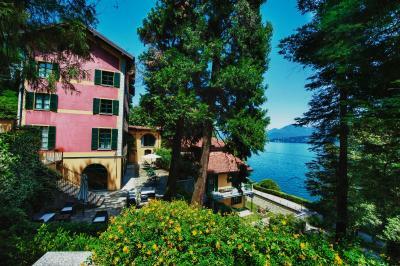 Relais Casali della Cisterna is set in two 19th-century building surrounded by a private park overlooking Lake Maggiore. 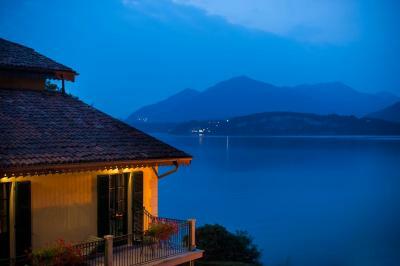 It offers elegant rooms with lake views, private covered and outdoor parking and free Wi-Fi. 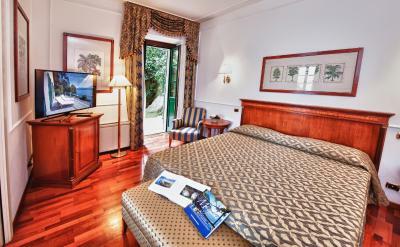 The rooms are air conditioned and include a mini-bar, an electric kettle and parquet floors. Each features a private bathroom with free toiletries and a hairdryer, while some also have a separate seating area, balconies and a terrace. Apartments feature a full kitchenette. A hot tub, located in the park, is available to guests. A fitness area and a children playground are available to guests. A sweet and savory breakfast is served daily and includes croissants, cold meats and hot drinks. Gluten-free options are available on request, and there is a bar on site. 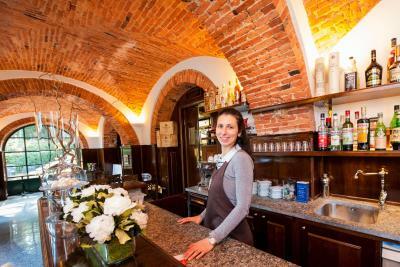 The Cisterna Casali provides free parking and free bike rental, and is 0.6 mi from the center of Belgirate. 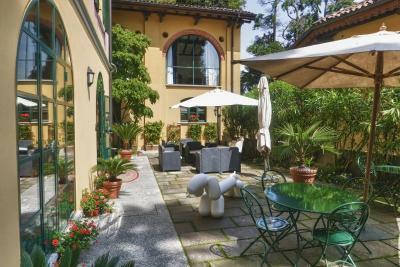 Stresa Train Station is a 10-minute drive from the property, while Malpensa Airport is 25 mi away. This property is also rated for the best value in Belgirate! Guests are getting more for their money when compared to other properties in this city. 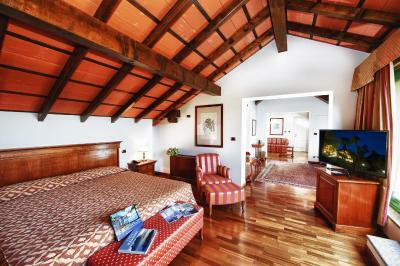 When would you like to stay at Relais Casali della Cisterna? 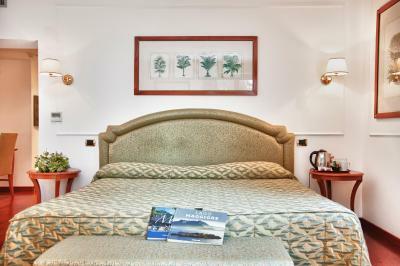 With a spa bath, 46" Smart satellite flat-screen TV and free WiFi, this apartment is composed of a separate bedroom, a living room with a kitchenette, and a bathroom. 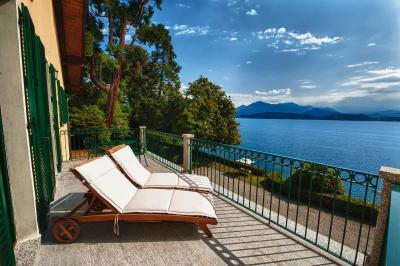 It comes with a private terrace featuring sun loungers and views of the lake. When traveling with children, please specify the number and age in the Special Requests Box when booking. 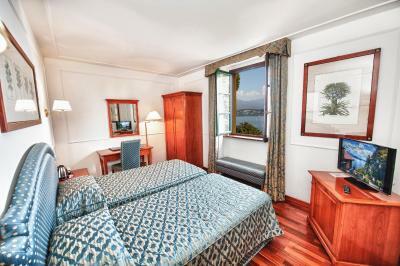 This twin/double room features air conditioning, mini-bar and tea and coffee-making facilities. It also offers a 32" flat-screen TV. 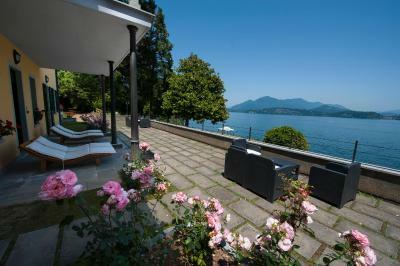 This elegant suite offers views of Lake Maggiore, a separate living area, and a private bathroom with a hairdryer and complimentary toiletries. 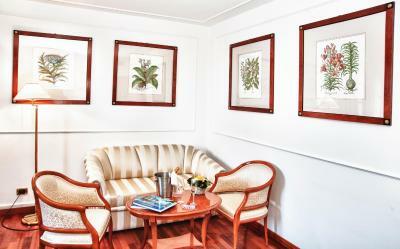 Coffee and tea facilities, free WiFi, and a 46'' flat-screen TV are included. Some rooms are located close to a railway, so guests could experience some noise. 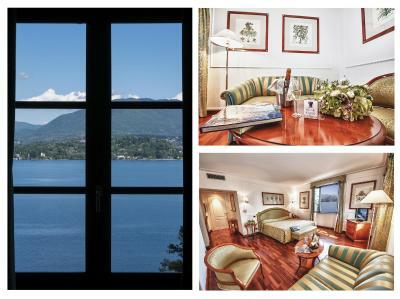 Overlooking Lake Maggiore, this spacious suite offers air-conditioning, free WiFi and a private bathroom with a hairdryer and complimentary toiletries. The unit has a separate living room with a sofa bed, a 46'' smart TV and Coffee and tea facilities. 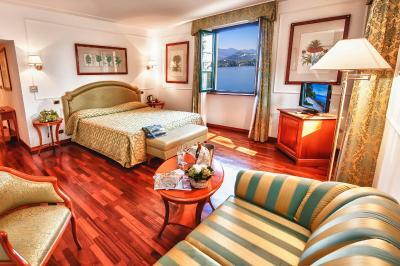 This elegant, air conditioned junior suite offers panoramic views of Lake Maggiore. It includes free WiFi, a 32'' flat-screen TV, and tea and coffee facilities. The marble bathroom includes a hairdryer and complimentary toiletries. 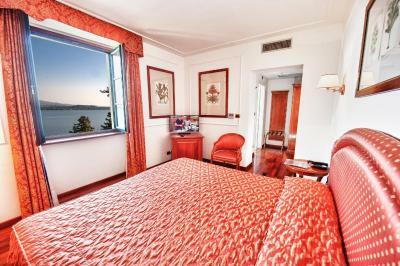 This elegant, air conditioned room offers views of Lake Maggiore. 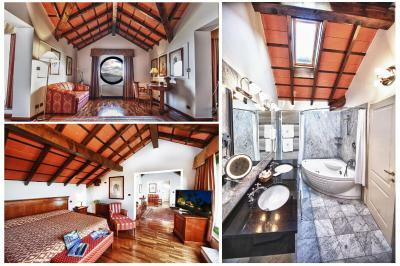 It includes free WiFi, a 32'' flat-screen TV, and a private bathroom with a hairdryer and complimentary toiletries. This room cannot accommodate children's cots. 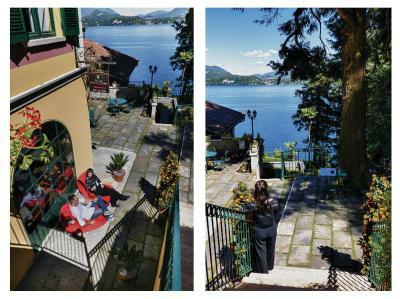 Boasting a balcony and views of Lake Maggiore, this spacious suite offers air-conditioning, free WiFi and a private bathroom with a hairdryer and complimentary toiletries. The unit has a separate living room with a sofa bed, a 46'' smart TV and coffee and tea facilities. 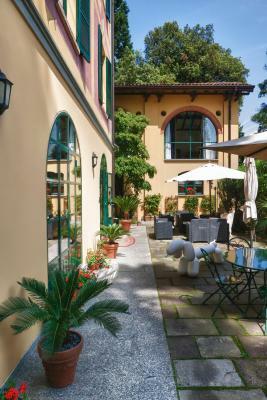 House Rules Relais Casali della Cisterna takes special requests – add in the next step! 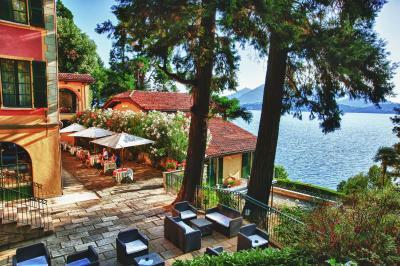 Relais Casali della Cisterna accepts these cards and reserves the right to temporarily hold an amount prior to arrival. 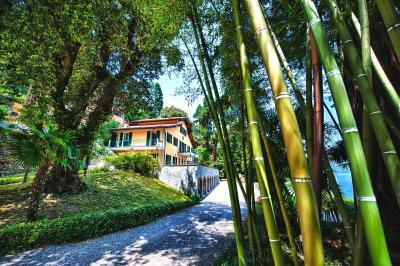 To find the hotel, please follow the signs for "Villa Claudia dei Marchesi Dal Pozzo" as it is located inside the big park of this Villa. There may be some noise from the nearby railway line. Nothing could have been better, other than location - it's not central to Belgirate, but only a 5-10 minute walk from the village. We followed satnav to the hotel and the route was far from easy with a very steep hill and z bends. Subsequently we were recommended a much easier route to the hotel. We were advised that there was a railway nearby and on the whole this did not disturb us as we are used to being under the Heathrow flight path!! 1) Mosquitoes are abundant due to lake proximity and entering your apartment day and night , so had to close the windows at evening , limiting us to get fresh air (which is very good near the lake) Suggestion - to put 'window net' on window or two so clients could enjoy great air without mosquitoes. 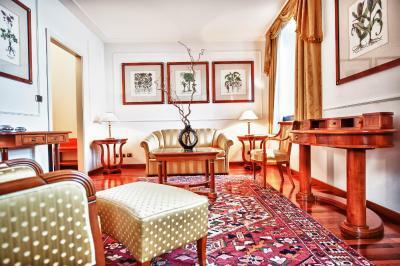 2) Many of furniture is old style and there is smell of old wood , thought this aligns to the Hotel classical style. Noise of trains was inconvenient at times. The place and the view is beautiful. Breakfast very good and the owners very nice. 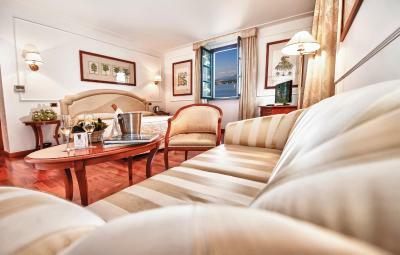 Lovely views of the lake, comfortable room and good breakfast. What a wonderful place. What a perfect experience. We stayed for 2 nights with our 3 children. Simona and Alberto were amazing hosts. Really went out of their way to make us feel at home. The rooms are lovely and very comfortable and the scenary is breathtaking. We had a completely relaxing vacation. Can't wait to come back again !! Superb room and extremely friendly hosts. Wonderful location. 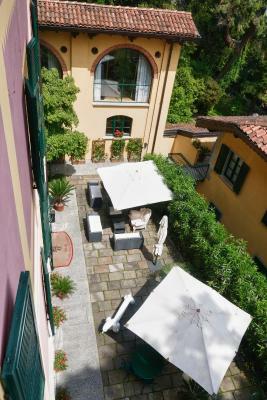 Lovely restored country house witha good view of Lake Maggiore. Excellent hosts. 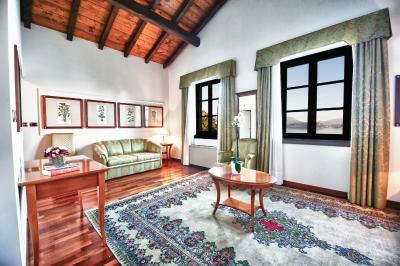 Exceptional property with large private grounds. 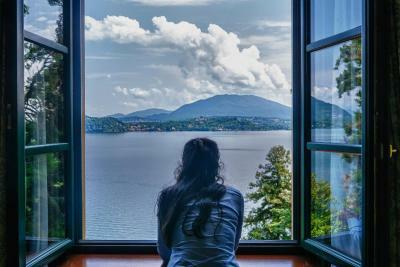 Very relaxing with stunning views over Lake Maggiore.